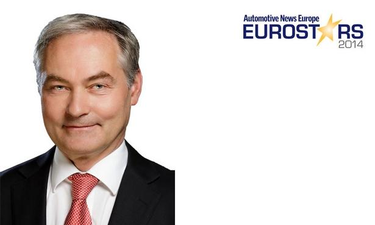 CAREER HIGHLIGHTS: Has been director of assembly at Porsche's factory in Leipzig, Germany, since 2012. Joined Porsche in 1995 as a project leader for contract manufacturing and three years later was promoted to head of production strategy. From 2000 to 2010 he served as the head of production for the Cayenne, which has become the automaker's top-selling model globally. REASON FOR WINNING: Kahmeyer played a key role in helping Porsche's car plant in Leipzig win the gold award from J.D. Power for assembly quality in Europe and Africa. Leipzig is the second Volkswagen Group vehicle factory after Neckarsulm, Germany, in 2013 to win the award, which ranks plants based on the satisfaction of U.S.-based new car buyers 90 days after they receive their vehicles. Porsche performs final assembly on the Cayenne premium large SUV and Panamera upper-premium sedan at the factory. In the spring, Porsche added full production of the Macan premium compact SUV in Leipzig.